Yesterday was my Dad’s birthday, and I made him a four-layer red velvet cake with chocolate mousse and cream cheese icing. I hadn’t baked a cake in ages, so I wanted to go all out and make a pretty epic cake! 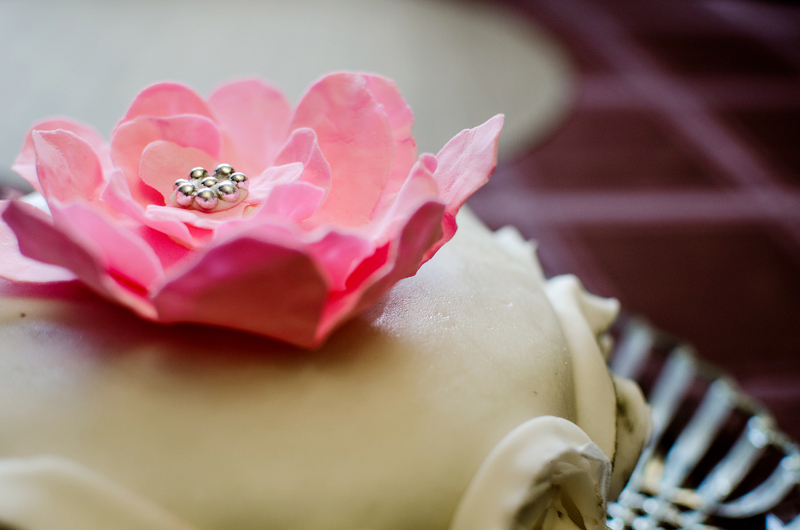 Inspired by a post I saw on Pinterest (http://www.polkadotbride.com/2012/10/diy-cake-decorating-ruffled-rose-tutorial/), I made a gumpaste flower to sit on top of the cake. I combined gumpaste powder, water, pink gel colour, and kneaded the paste, rolling out a thin sheet. I used four different sized circle cutters and then used scissors to shape the circles into flowers. 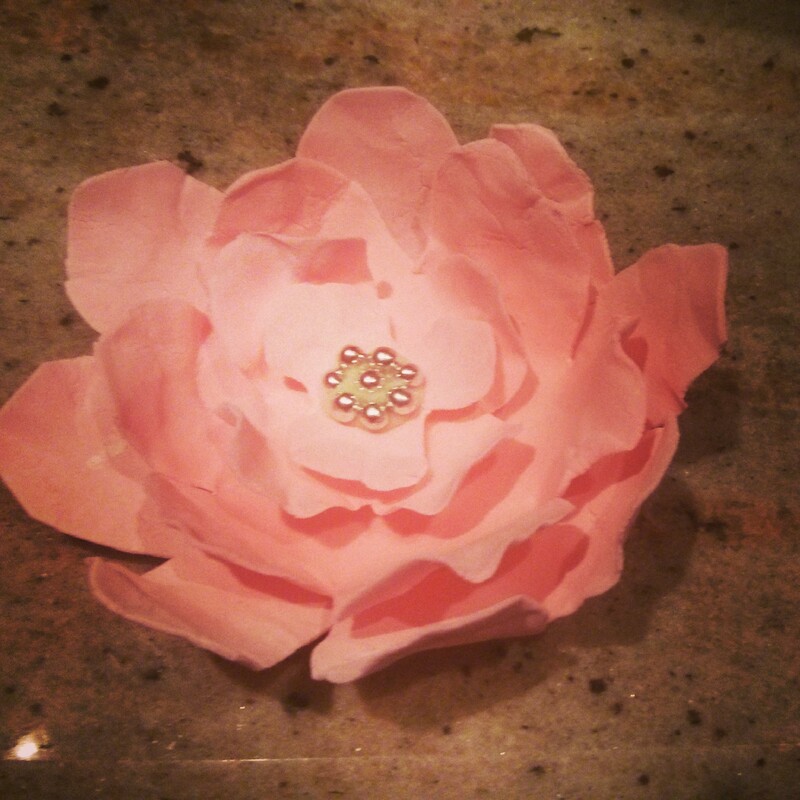 I pressed the petals of the flowers to make them thinner, and more realistic, and let them dry for a couple of hours. Using frosting, I glued the layers together, and placed some nonpareils on the smallest flower layer. 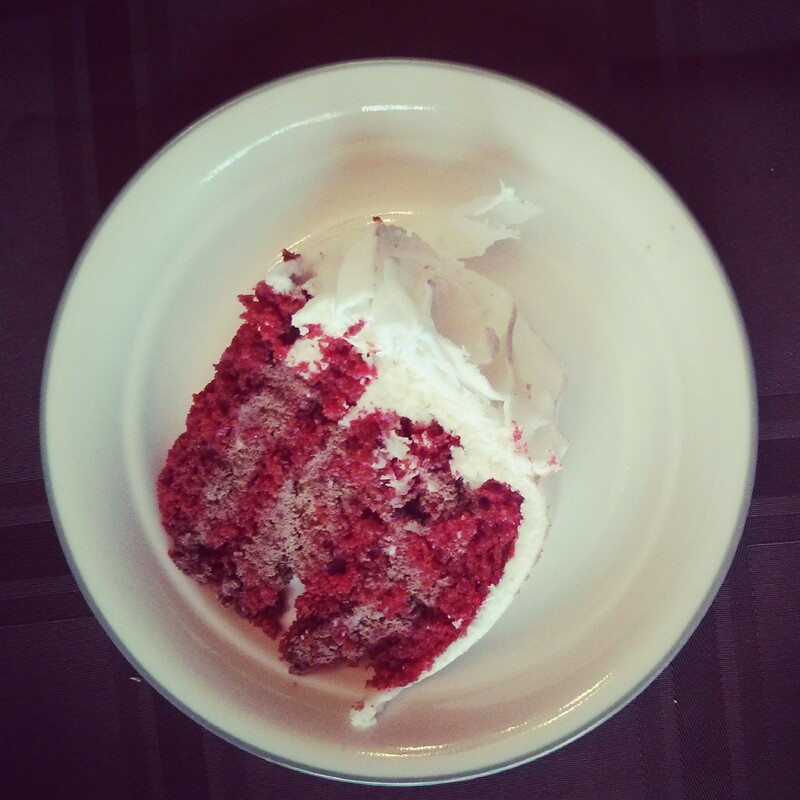 This red velvet cake is one of my favourite recipes, and one you’ve already seen on the blog (https://sweetlittlebrownies.wordpress.com/2013/05/11/red-velvet-cake-with-white-chocolate-buttercream/). I halved the recipe to bake two 6” layers, and sliced the layers in half, to make four. I made chocolate mousse and vanilla cream cheese frostings, for which I’ve included the recipes below. 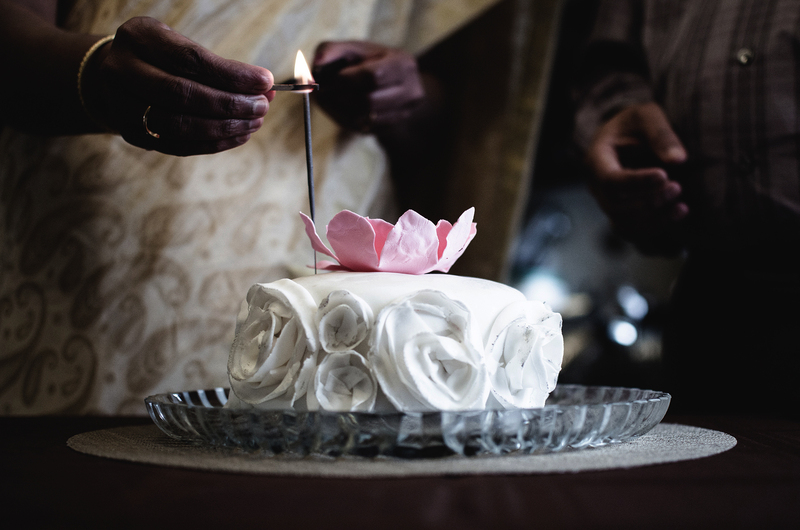 To assemble the cake, use the vanilla cream cheese frosting to outline the perimeter of the bottom cake layer, and fill the middle with chocolate mousse; repeat this for the next 3 layers. 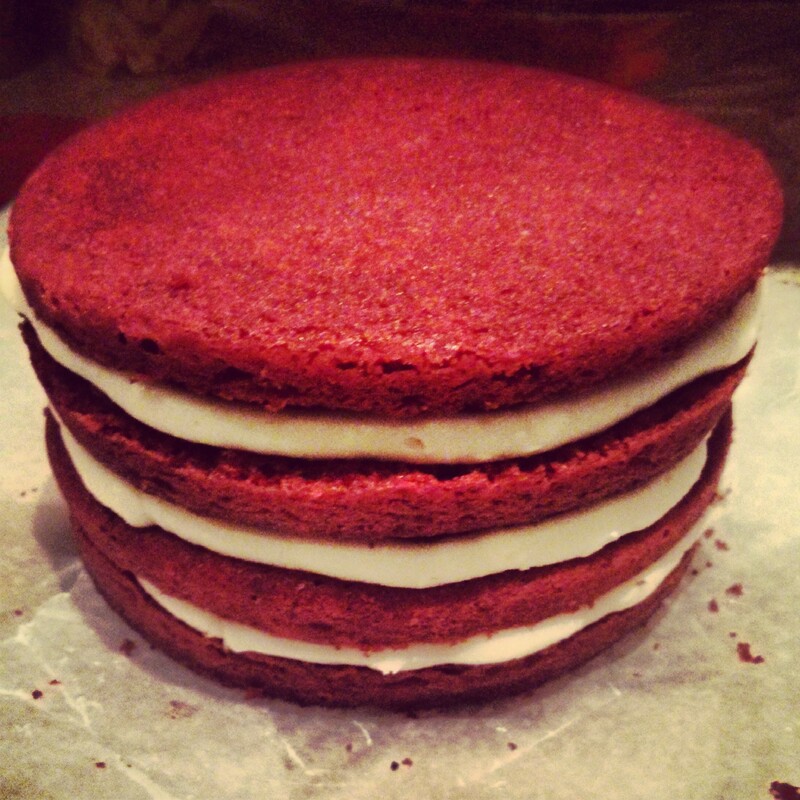 Once all four layers are assembled, use cream cheese buttercream to frost the entire cake. 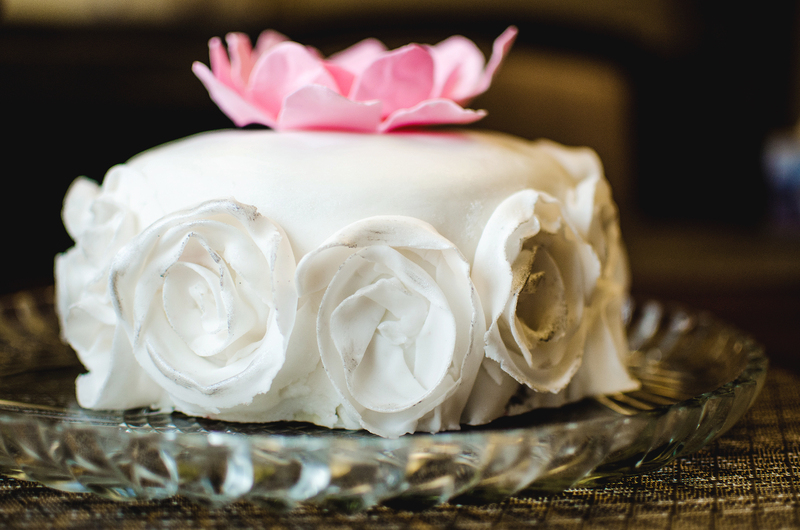 For the first time, I used store-bought Wilton frosting to cover the cake. 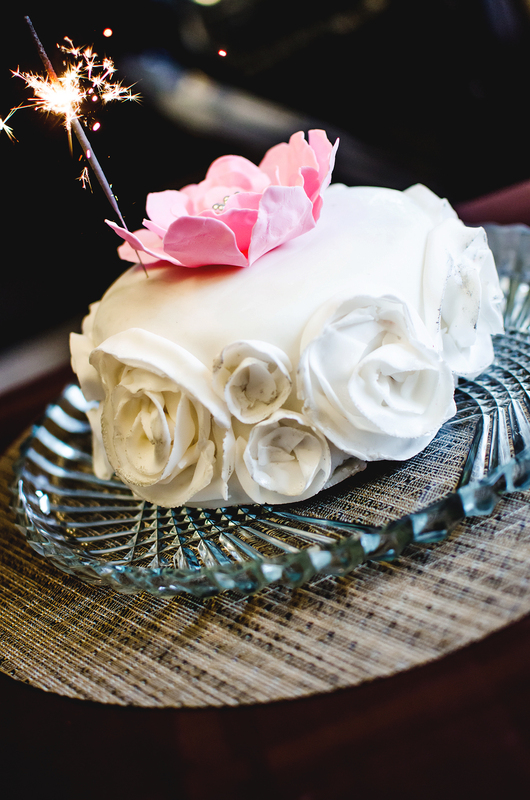 Personally, I think homemade marshmallow fondant is the best option, because it is cheaper and tastes much better. I was so overwhelmed with awe at the fondant flower technique, and I knew I had to try it! Luckily, I found this great YouTube tutorial (http://www.youtube.com/watch?v=Qvk3ek7FQt8&feature=youtu.be). In a small bowl, dissolve cocoa powder and instant espresso powder in a hot water. In a large bowl, beat together the butter and cream cheese with an electric mixer. With the mixer on low speed, add the powdered sugar a cup at a time until smooth and creamy. Beat in the vanilla extract.